(See also William Douglas & Sons Ltd and Rownson (Conveyors) Ltd). 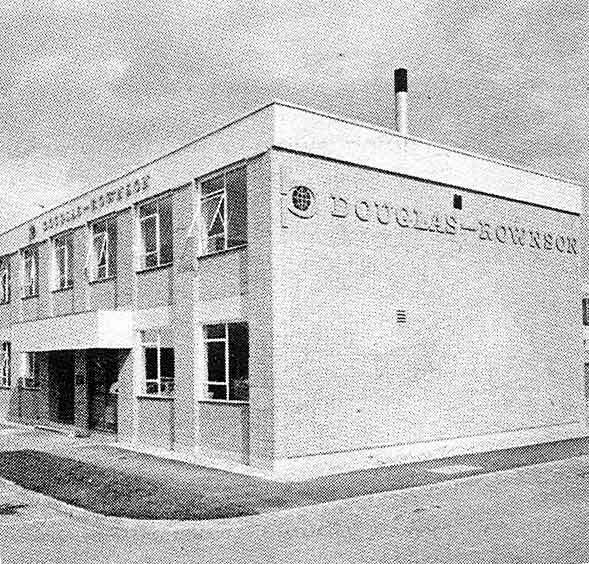 Douglas Rownson Ltd was formed on January 1st 1966 to merge William Douglas & Sons (Engineering) and Rownson Conveyors. The new company had three divisions – Rownson Conveyors, Douglas Refrigeration and Douglas Process Plant. Each division had its own selling, estimating and design departments. The two companies had moved into a new joint factory on the West Daneshill Industrial Estate in Basingstoke in the autumn of 1965. This move had been brought about by the unsuitability of William Douglas and Sons' premises in Putney and the termination of the lease on Rownson Conveyors' factory at Maiden Lane, near King's Cross Station in north London. The new factory comprised a single production area with two main bays 420 feet in length and 60 feet wide. A bay of production offices and other amenities ran the full length of the building. A two-storey office building was situated across the front of the factory on the road side of the site. The factory employed around 350 people. 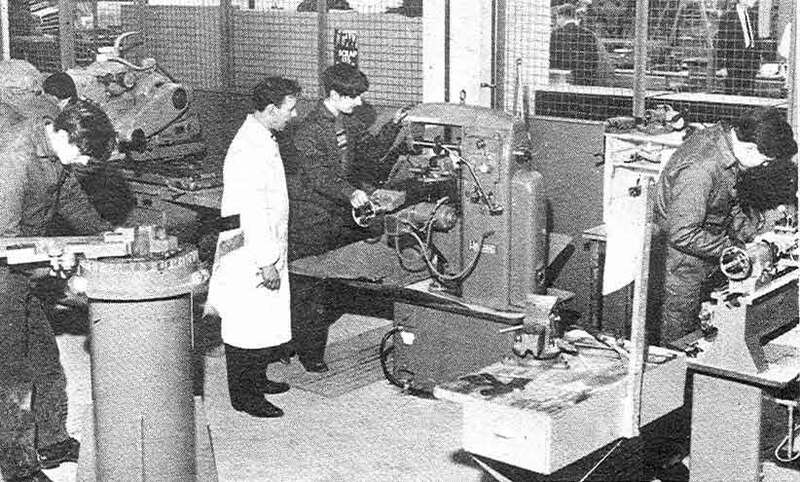 In an extension to the Baker Perkins Group's training facilities, a new apprentice training school was opened in 1966 on the Basingstoke site. 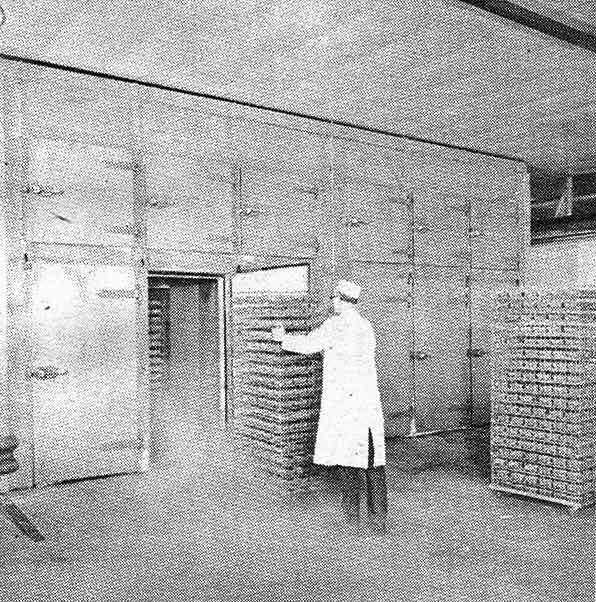 The great advantage of bringing the two companies together was that, in some industries, such as meat processing and the dairy industry, a complete service could be offered – covering refrigeration, process plant and mechanical handling – giving many customers a single source for most of their needs. Inevitably, the period after the move to Basingstoke was difficult and the disruption, together with tough economic conditions in the industries served resulted in a trading loss for the year. Also in 1966, a jointly-owned subsidiary was formed between Douglas Rownson Ltd and the Bristol Abattoir Equipment Co., Bristol, trading as Meat Plant Engineering Ltd. The new company's activities – a complete range of slaughtering and mechanical handling equipment, refrigeration and animal by-products plant for abattoirs and meat works – were aimed primarily at the export market. With the two companies joining forces and moving to a new factory in a strange town, it was realised that one of the vital factors in welding the new firm into a cohesive unit would be a strong, lively Sports and Social Club. The new Club was basically an extension of the old Douglas club at Putney which now had 270 members from a total staff of about 380. Most of the Putney activities continued - football, cricket, tennis, table tennis, darts and snooker - plus a full programme of social evenings. Results improved in subsequent years and, by 1969, Douglas Rownson was carrying out several contracts at airport installations around the world for the automatic conveyance and handling of freight and passenger baggage. A new 12,000 square feet factory extension - to house the machine shop, electrical fitting section and marshalling section was built in 1970, increasing the factory floor area by 25%. 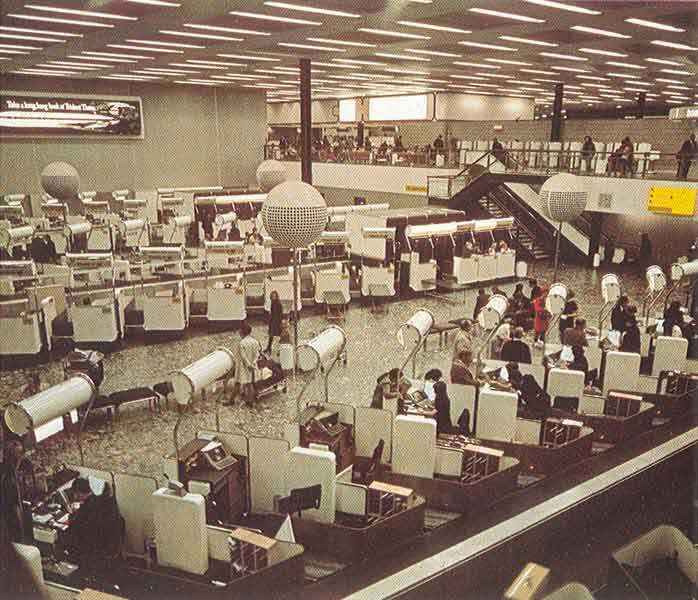 A rationalisation exercise took place in 1973 when certain product lines were dropped to allow the company to concentrate on its key activities of poultry and animal by-product rendering plants, ingredient and product handling, refrigeration for the food industries and the manufacture of airport baggage handling equipment. 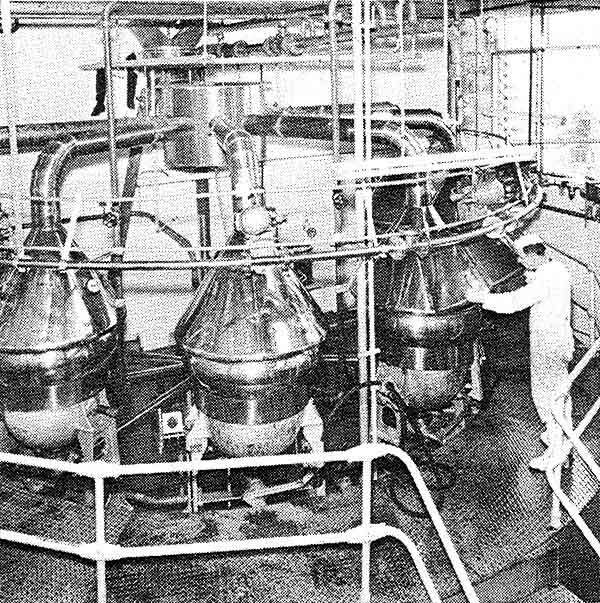 1974 saw Douglas Rownson launch a major innovation as part of their animal by-products processing business – a method of chemically treating the vapours emitted when processing animal and poultry waste. These plants produced high protein and nutritional meal and oils from waste materials, the finished product being used as a feed additive. 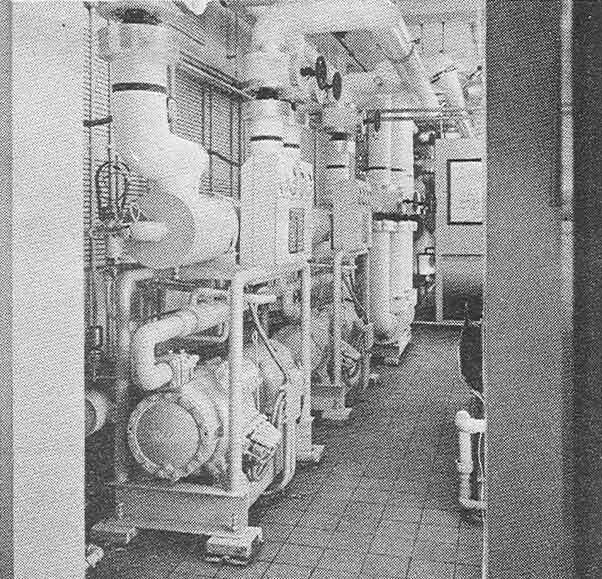 The new system took the vapours from the cooking process and treated them by caustic washing and chlorine scrubbing – making them inoffensive for releasing in to the atmosphere. 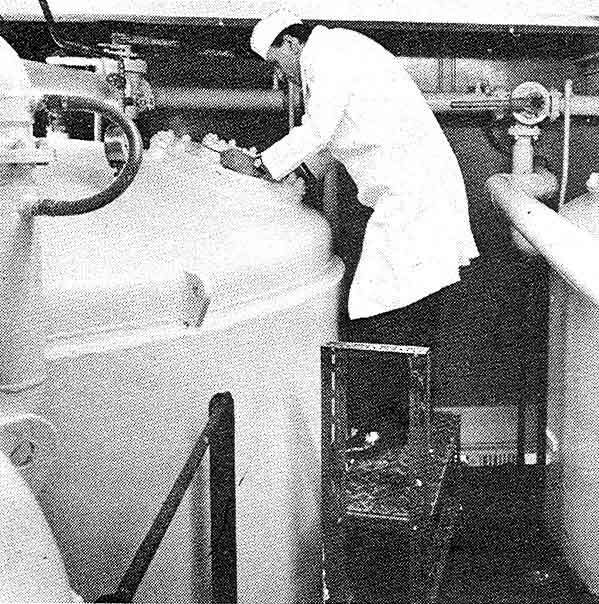 The system was also capable of treating effluent for odour-less discharge into the sewage system. – all at a tenth of the cost of other methods. “Very rapidly rising costs over which the company had less control than some because it bought out a higher proportion of materials and components to put in its products. Rising salaries and wages in a business which, because of its nature, employed a considerable technical staff of good quality. Price restriction at Home and the difficulty of anticipating in process the amount of inflation in costs before export contracts were completed and the difficulty of reclaiming these from customers. A fall off in orders and factory load in a situation where a factory can only be justified if it is kept very busy – otherwise it plunges into a loss situation”. Responsibility for its businesses in liquid ingredient handling for the biscuit industry and in pumps were transferred to Baker Perkins Ltd. Peterborough and its other product lines were sold. Smaller premises were sought in the Basingstoke area into which this manufacture could be transferred and it was hoped to employ around 20 people. Suitable premises were found in the centre of Basingstoke and a new company, Douglas Pumps, was established. 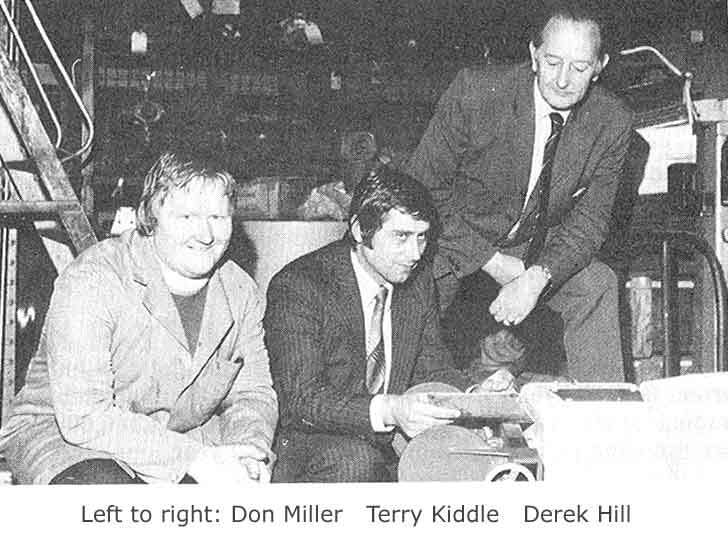 Under its general manager, Derek Hill, sales grew steadily and, in 1978, a move to larger premises was necessary. Situated on the Daneshill East Industrial Estate, at 20,000 square feet and employing 34, the new factory and office building was two and a half times the size of the old premises. The company's name was changed to Douglas Process Engineering at this time. 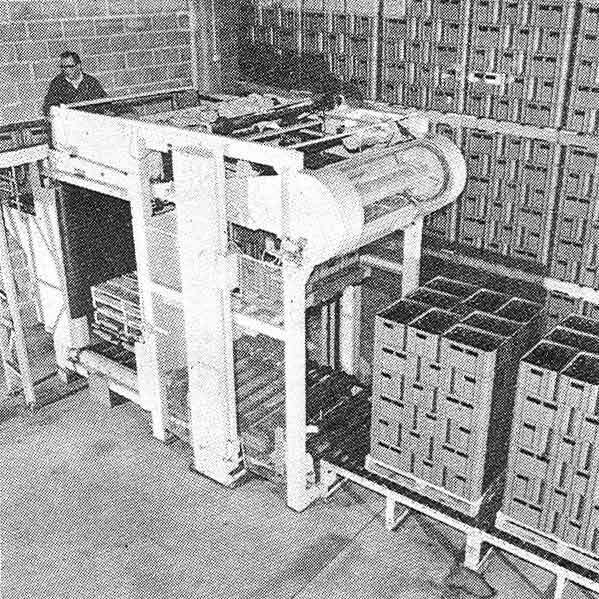 A new Shreddies line was installed at Nabisco, Welwyn in 1982. This comprised cookers and shredders designed, manufactured and installed by Douglas Process Engineering. In the very difficult trading conditions of the early eighties, the market for pumps and bulk handling systems dropped to a level where it was no longer economic to continue at Basingstoke and manufacture of the Douglas Pump was transferred in April 1983 to Peterborough, under R.W. (Bob) Fuller. 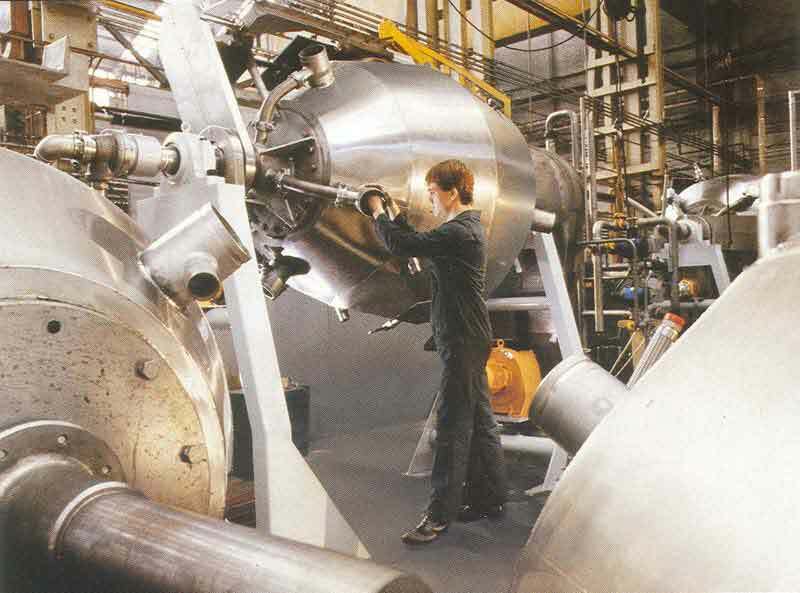 The cereal equipment business continued at Basingstoke for another four years before Douglas Process Engineering was closed in March 1987 and responsibility for cereal plant engineering transferred to Baker Perkins BCS, Peterborough. After the merger with APV in 1987, manufacture of the Douglas Pump was transferred to APV's Industrial Pump and Mixer Division in East Kilbride, Scotland. The animal by-products side of the business was purchased in 2002 by Dupps of Ohio, USA and the Netherlands. Colin Joyce has provided his recollections of his time with William Douglas & Sons Ltd. and Douglas Rownson Ltd.
"In mid-1964, after 18 months at Gainsborough with Rose Brothers, I accepted the position of director and chief accountant at William Douglas at Putney. In accepting this post l was told that it was the intention to merge this company with Rownson Conveyors and to re-locate the merged businesses to a new factory being built in Basingstoke. It was whilst I was with Douglas in Putney that London in 1965 suffered its last 'pea-souper' and the few days that it hung over the area were very unpleasant indeed. Quite apart from the people already mentioned there were other employees I remember well who were among those who opted to move to Basingstoke. Foremost must be Aggie Burns, who was Tom Douglas's secretary. 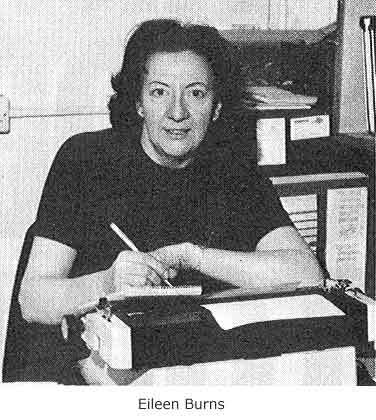 She had been Tom's father's secretary for many years and had thus known Tom when he was a small boy in short trousers and her long service gave her a formidable power. Archie Scott, the Company Secretary, was a friendly man but as he seemed to spend most of the day 'walking and talking' he needed to stay late most nights in order to get through the work he should have done earlier. 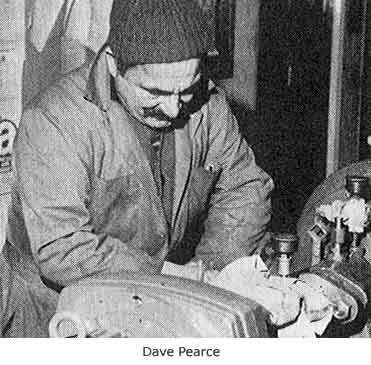 Dave Pearce was a driver and general handyman who nearly lived on the premises and in due course he was to secure a not dissimilar billet in Basingstoke. 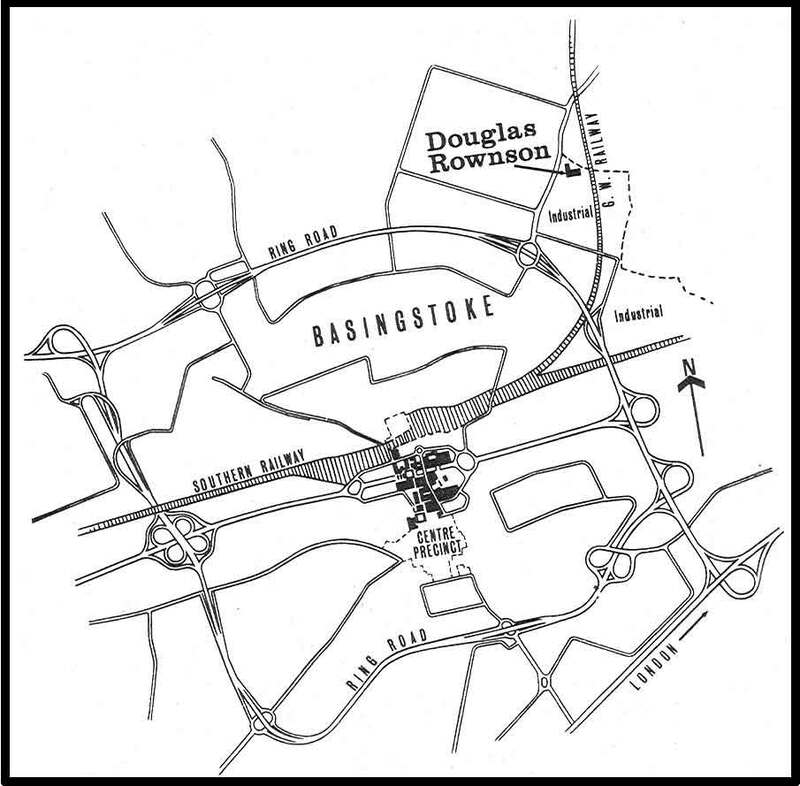 The merger of the Douglas and Rownson businesses took place in autumn 1965 when both businesses were moved from London to a splendid new purpose built factory on the Daneshill West Estate in Basingstoke. The directors of Douglas-Rownson, the new merged company, were Tom Douglas, managing director, Weston Leech, who had become managing director of Rownson Conveyors a year or two earlier, Lionel Collins, Ralph Stiles, myself with Ivor Baker and Norman Mountain as non-executives and John Hardy as Company Secretary. The simultaneous relocation and integration of the two businesses did not go smoothly. In part this was due to a failure to persuade many middle managers and skilled workers to re-locate but the incompatibility of the paperwork systems particularly as used on the shop floor and the realisation that there were many weaknesses in those systems that had been overcome in London through craftsmen 'glossing over' such weaknesses through sound knowledge of the products being produced was the cause of great delays and at times of product failure. The business was also having to bear a greatly increased overhead in the form of rent and rates as compared to the low overheads attached to the old buildings vacated in London. In fact, chaos and losses rose together throughout the 15 months following the move and consequently in late 1966 Tom Douglas left the company as well as the board of Baker Perkins Holdings of which he was also a member. Tom was succeeded initially by a management committee of four senior executives under my chairmanship. In spring 1967 I was appointed managing director. My colleagues enjoyed some success as they and I got the company into the black! At that time Ralph Stiles was a tower of strength and Weston Leech and John de Courcy, together did much to improve the performance of the mechanical handling division by concentrating on its strengths such as airport baggage handling conveyors and systems and building the gravity roller conveyor sales. 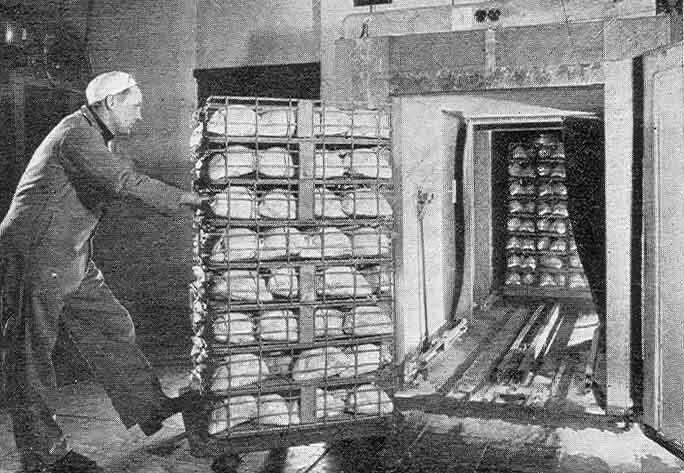 However, the division led by Lionel Collins and George Cook was the profitable part of the business with fat handling in biscuit factories, a huge abattoir contract in Hong Kong and a steady growth of Douglas Pump sales under Tony Beckett. The refrigeration division struggled against Hall-Thermotank in particular on industrial refrigeration including cold stores and against the myriad of local contractors setting up business all around the country using US sourced components in air-conditioning. 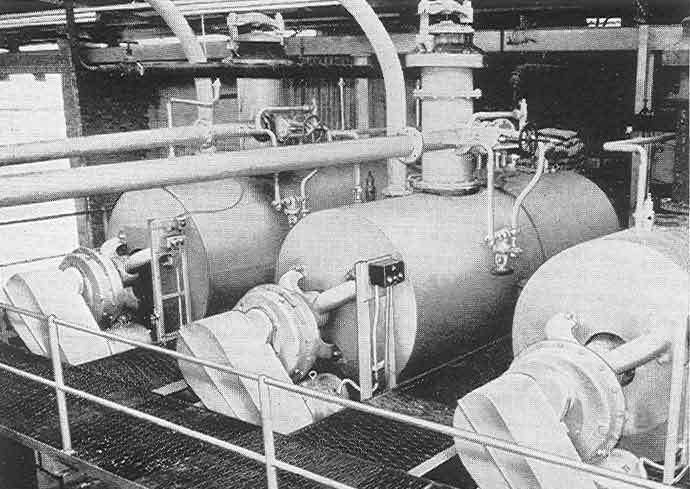 The difference between industrial and smaller applications was not only the size but the compressor with industrial often based on Douglas designed ammonia compressors as against bought-in freon compressors on chilled water uses. Looking back, I believe that I greatly underestimated the contribution and indeed the potential of repairs and service under Ted Darling and that I should have given him much greater resources. 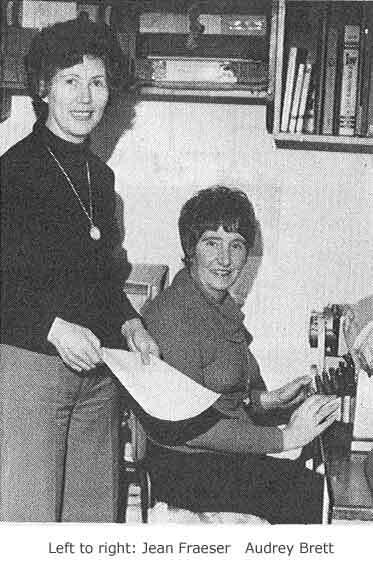 After a serious illness that resulted in a four-month absence from the office, I moved to Peterborough, effective 1st January 1972, to succeed Gilbert Ramsden as Group Planning Manager. Jim Baker succeeded me, having joined Douglas-Rownson a year before my departure as managing director designate. Jim did not have much luck, as he was hit by the OPEC oil crisis and resultant three-day week and lost Ralph Stiles, who died at an early age as a result of a very nasty cancer. Losses resulted again and the Baker Perkins Holdings board decided that the company should cease activities. Ray Wilkins, Ralph Batson and I went to Basingstoke to announce the closure of the factory and subsequently the businesses were sold to various competitors. At the time of closure, I seem to remember that the company was employing about 325 people". "I commenced at Douglas Rownson on 1st January 1970 and quickly ascertained that there was a strong feeling of ‘them’ and ‘us’ between the Douglas and Alfred Porter employees and the Rownson employees. This permeated through the whole organisation. There were two separate systems of paperwork coming through to the works which were incompatible with the factory system. A meeting was called with the three drawing office section leaders and they were given an ultimatum: to get together and agree on a system which would meet their requirements and those of the works. 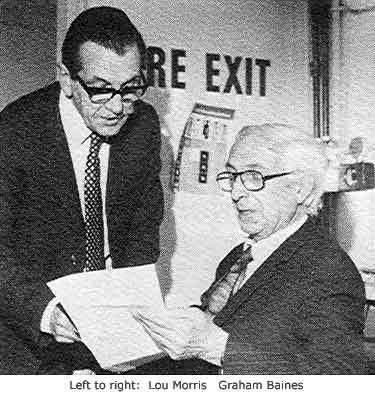 Ralph Stiles added his weight to my argument, which resulted in a suitable system being adopted by all concerned. This was soon operating satisfactorily. Conveyors and airport baggage handling conveyors (including the ‘Transitread’ carousel that most people would be familiar with as the point from which they collected their baggage after a flight. 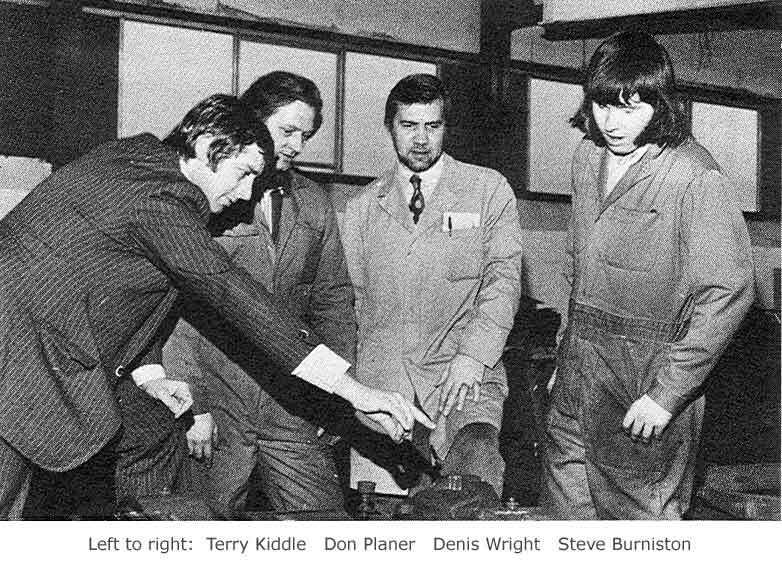 Jim Baker (son of Sir Ivor Baker) joined the company in 1971 and succeeded Colin Joyce on 1st January 1972. We had a very good relationship. 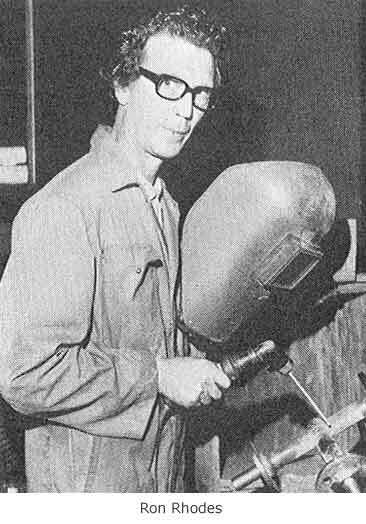 I put forward a case to add an extension to the factory and bring back the pump machining and assembly to Basingstoke thus improving the facilities and providing more room for the large cooker assembly. 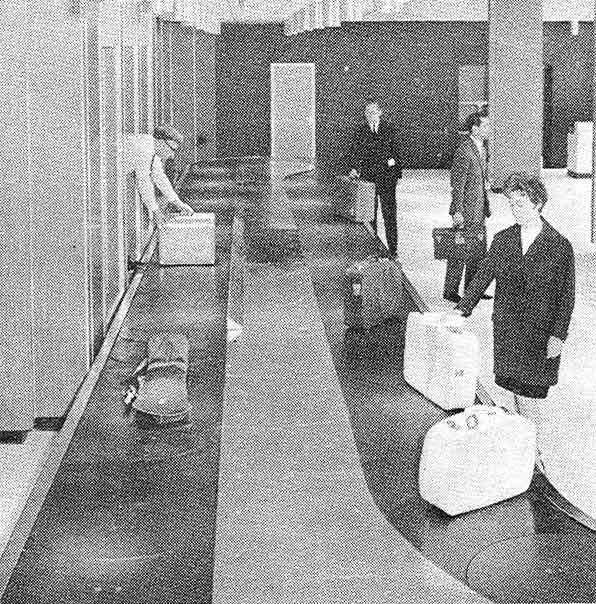 Airport baggage handling equipment was selling very well abroad and the company was progressing very well until the OPEC oil crisis and the three day week in 1975. We had a lot of overseas contracts and the weakness of the pound led to heavy losses resulting in Baker Perkins Holdings deciding to close the company. I was given the task of dismantling it. The decision to close the factory had been taken in February 1975 and the factory ran down to closure in August of that year. 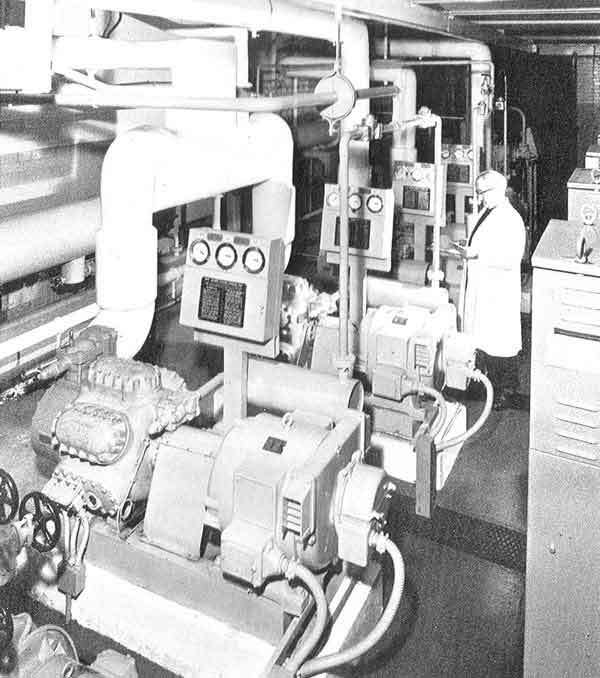 Many of the product lines were split up and sold to other companies but Derek Hill, the works manager who had supervised the run-down was convinced that one range – Douglas Pumps – could still be a viable proposition down at Basingstoke. He put forward a case for setting up a small factory to specialise in pump production and was given the task of finding suitable premises. 26 jobs had been saved. After reviewing the situation I put forward a case for retaining the pump manufacture and repair in a much smaller unit. Suitable premises were available near to Basingstoke railway station. 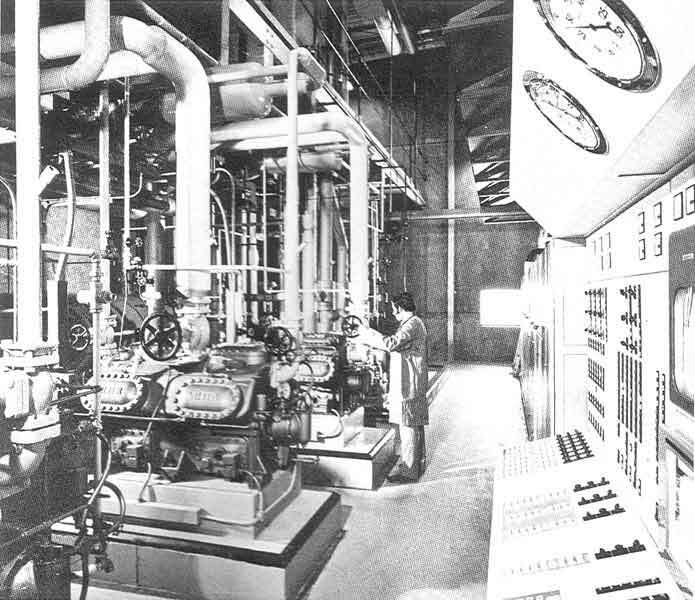 The go-ahead was given and Douglas Pumps was formed. 26 employees were selected to join me in the renamed company. I decided that I could best control the move to the new site at both points by driving the truck to ferry machine tools and equipment from one site to the other. We accomplished the move in a week and were soon back into production. Pumps were manufactured for a wide range of uses. 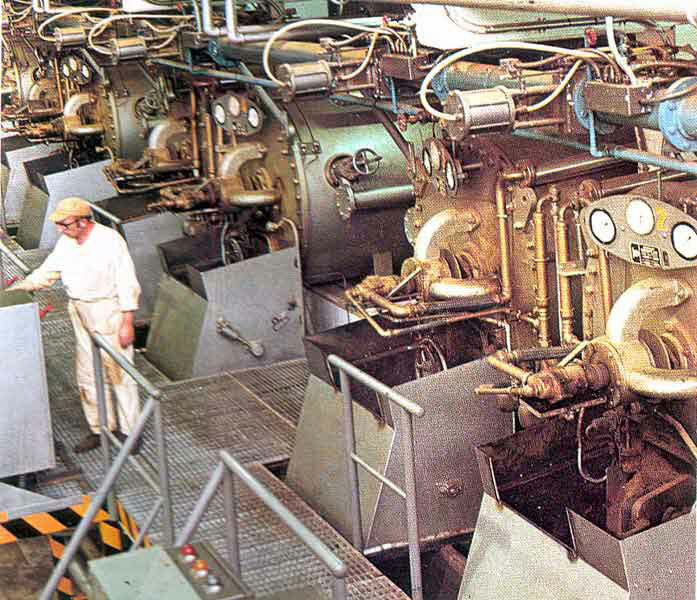 The food, paint and chemical industries were all big users of Douglas pumps. 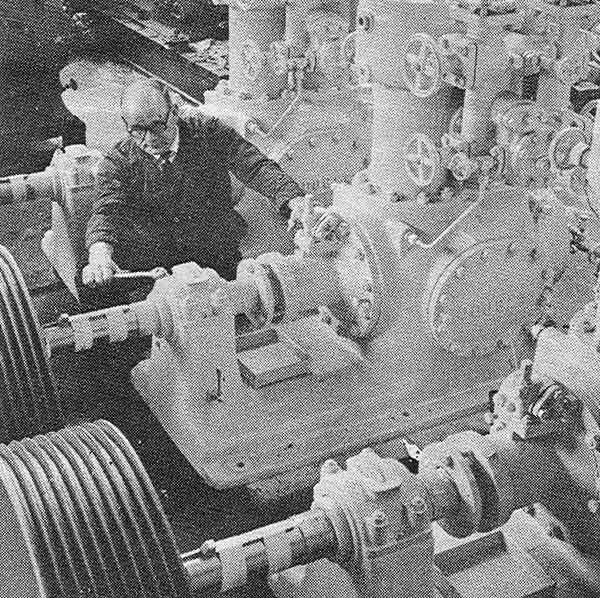 They even had Douglas pumps working at the Windscale Atomic Energy project, ad Douglas had long experience in pumping liquid ammonia. Overseas sales went well with consignments of pumps to Taiwan, Russia, Pakistan and Spain. The Basingstoke factory also added the 5 litre paint shaker, formerly made and sold by Baker Perkins Chemical Machinery Ltd, Stoke-on-Trent to their range. This was used by paint retailers, factory paint shops and anywhere that colour mixes were required. Derek Hill was enthusiastic about how the new company was performing – “Because we are a small unit communications are first-class and everyone feels a responsibility to get things done”. 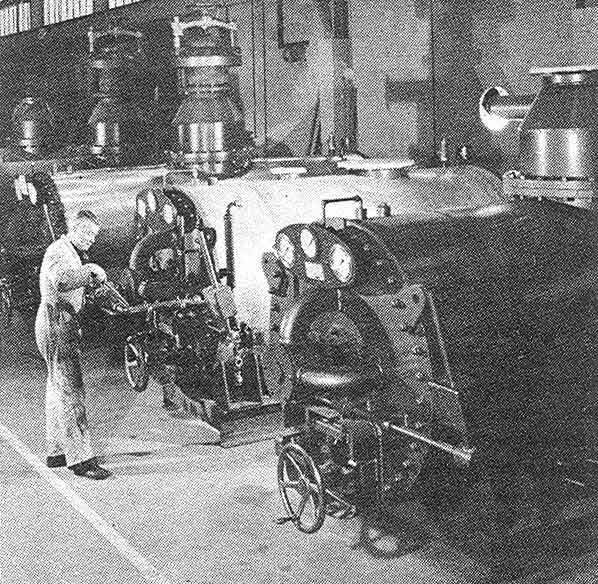 In addition to pumps, they carried out the design and manufacturing of liquid handling plants, sold by the biscuit machinery division in Peterborough – Douglas Pumps being, for administrative purposes part of the biscuit machinery division of Baker Perkins Ltd.
We continued with bulk liquid handling equipment and installations and performed quite well. A case was put forward to move to a larger unit that had become available on the Daneshill Industrial Estate. This was approved and we moved in using the same system as before. Shortly after the move I received a telephone call from an agent in Manchester requesting a quote for some cereal pressure cookers for a customer in Europe. Douglas had supplied similar ones when they were at Putney. I had kept the drawings and records of all Douglas equipment in case spares were requested, and by a stroke of good fortune I was able to find the drawings for those cookers. I knew Steele & Cowlishaw had the capability and asked them to quote for the manufacture. I subsequently secured the order for 2-off, completed it by Steele & Cowlishaw fabricating the cooker shells and stands. We assembled them at Basingstoke. A few months later Paul Parkinson asked me to go to Shredded Wheat at Welwyn as they were interested in new cookers. This proved an excellent lead into the breakfast cereal industry. 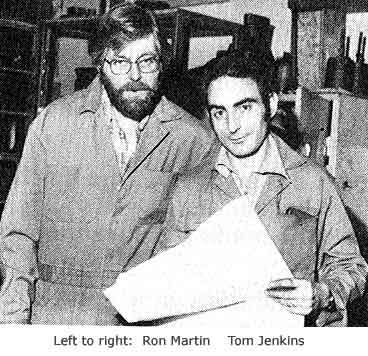 At Welwyn I was taken into the plant by a project engineer. Walking through the shredding section I saw an operator with a spanner on the tension unit of a shredder. He had a 2 ft. length of pipe on the other end of the spanner and was heaving all his weight onto the pipe to increase the pressure between the rolls. I remarked to the project engineer that they must have tremendous wear on the rolls and a lot of broken shafts, and he replied that this was so. I then explained that the spanner and pipe were unnecessary and the rolls could be tensioned hydraulically. Subsequently I left Welwyn with a car boot full of components to make a prototype unit to be installed into one of their lines. After three weeks of tests a good product was produced with no regrinds or broken shafts. They ordered a complete line including cookers. The cookers were the first double cone units we had made; the advantage over the cylindrical cookers was the mixing action of the product tumbling down the slope of the cone. A few months before my visit to Welwyn I had read of a fatal accident at Kelloggs when an operator released the manual door on a cooker whilst it was still under pressure. We designed a slide valve opening that avoided the need for an operator to open the cooker. Following this order Paul Parkinson decided that I should be relieved of responsibility for pump manufacture and repair, enabling me to concentrate on design and sales of breakfast cereal equipment. This resulted in the closure of the Douglas Pump Factory and a move to new premises. Following the closure of the Douglas Pump factory, we moved into the ground floor of an office block called ‘Telford House’ mainly occupied by civil servants. We had a reception area, an office each for Lew Morris, me and our secretary. Lew dealt with estimating and sales of spares etc. and was my number two, dealing with administration when I was away on a sales/design trip. We had a drawing office large enough for up to six draughtsmen. There was also a separate enclosed area suitable for testing customer products on Shredders or Flaking rolls. Pascall Jeavons was appointed at Peterborough to promote sales throughout the world. We supplied a ‘Granola’ plant to Telford Foods. Manufacture was subcontracted to a local sheet metal company which produced high standard fabrications. We also supplied a granola plant and a corn flake plant to a French consortium of Farmers. 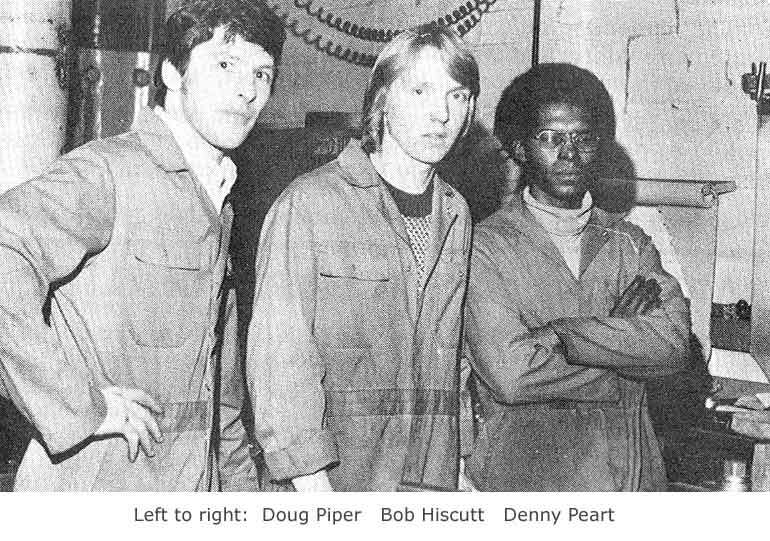 Ray Blakely, who was the food technologist at Nabisco, left them to set up his own cereal plant in Manchester and we had an agreement with him that we could use his plant to demonstrate our equipment to prospective customers from overseas. Telford Foods also purchased a shredding line for producing a shredded product from extruded pellets. Douglas Process Engineering continued until 1986. I was spending a lot of time giving presentations to prospective customers and trade associations both in this country and abroad. It was decided that the administration and drawing office be transferred to Peterborough and I should continue working from home. I was very well received and was taken into Kelloggs’ laboratory, which was indeed an honour. We received orders from all of them initially for laboratory test units which led to plant orders. Kelloggs ordered a special laboratory cooker with sampling facility whilst the cooker was at full pressure. Another breakthrough was the supply and installation of an extruder fed cornflake plant for a French co-operative of farmers. General Mills ordered a large shredding line and cookers, and Ralston Purina ordered similar equipment. Following an Interpack Exhibition, we received an enquiry for a corn flake plant from Calbee Japan. This was installed during 1989. Commissioning trials stated early in December and the customer requested that I was present for these. I was set to retire on 31st December 1989 and I requested that my wife, Betty, travelled with me. The trials went well generally, except for the flaking rolls, which had to be replaced. Before we returned home, I received a fax asking that I call at Dallas on the way home to give a presentation to another prospective customer. Coming home via the USA meant that this trip had taken us around the world.